Latino Branding Power goes to the Smithsonian! I am honored to announce that work from Latino Branding Power was curated this past year for display in the Smithsonian’s National Museum of American History. The original design, ¡Lotería, Lotería! : Latinos are Winning in Social Media, now appears in the Smithsonian’s new American Enterprise exhibition, a major installation that chronicles the history of events and individuals that have shaped business in the United States. The exhibition opened to the public on July 1 in Washington D.C. and will be on display for 20 years. This past week, I received one of the greatest honors since I started Latino Branding Power just over two years ago. 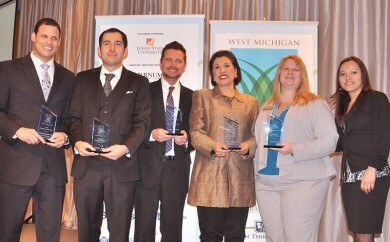 On Monday, March 25, at the West Michigan Hispanic Chamber of Commerce Annual Awards Banquet, I received the award for Hispanic Business of the Year in recognition for efforts with Latino Branding Power. It was an incredible honor to be recognized by my peers, the West Michigan Latino business community, and the many people who have supported me over the years. This afternoon, the West Michigan Hispanic Chamber of Commerce will hold their annual awards banquet at the JW Marriott in downtown Grand Rapids. The coveted keynote address will be delivered by Amelia Ceja, owner and president of the Napa, California winery Ceja Vineyards (watch my video interview with Juan Tornoe, last year’s keynote speaker). Amelia Ceja has been recognized as “Woman of the Year” in 2005 by the California legislature for “breaking the glass ceiling in a very competitive business” and is the first Mexican-American woman ever to be elected president of a winery. 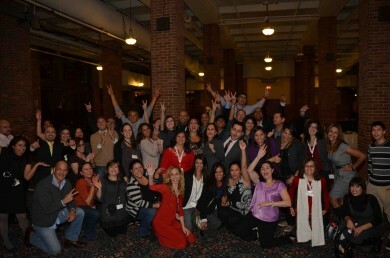 Last week, I had the privilege of attending the Latinos in Social Media (LATISM) annual conference in Chicago. 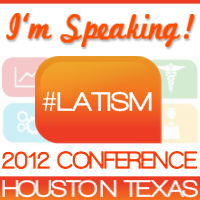 LATISM is credited as the largest organization of Hispanic professionals engaged in social media. The 2011 conference, held at Chicago’s Navy Pier, was two and a half days of sessions and workshops that focused on opportunities for Hispanic professionals to use social media in public service, community empowerment, and business development. 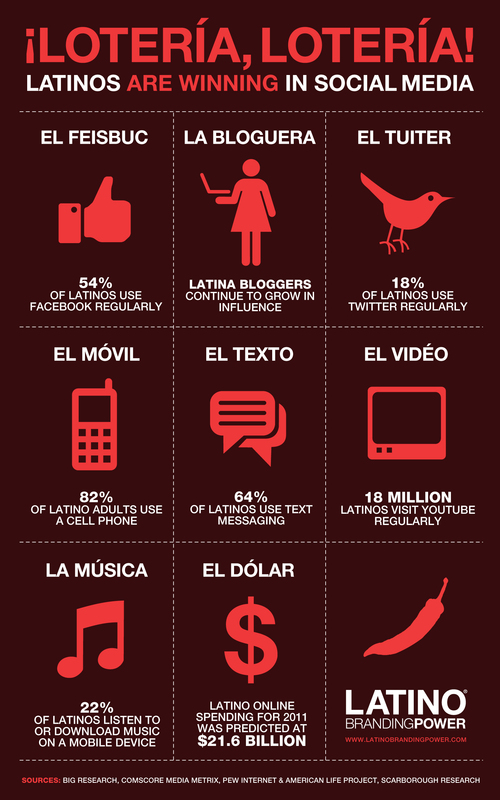 To augment my participation in the LATISM conference, I designed an infographic to show how Latinos currently engage in social media across the U.S. Originally, I had planned to write this blog post as a follow up review of the professional development and networking opportunities provided at the LATISM conference. Although there were certainly plenty of these opportunities, I decided to modify my post’s focus in light of all that transpired for me both personally and professionally during my attendance at LATISM’11.